Together to Empower was founded in 2015 by a high school girl in California with a dream to empower girls around the world. 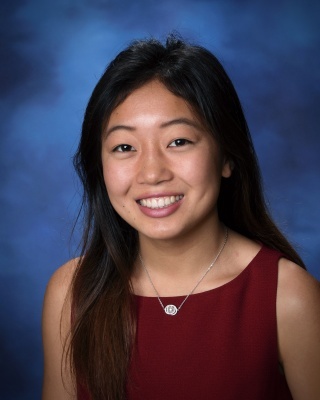 ​ Michelle Qin is a senior at Dos Pueblos High School in Santa Barbara, California. Michelle has always strived to be a good role model by giving back to her community and school. Michelle served as Student Body president for two consecutive years, and is currently a student in the Dos Pueblos Engineering Academy. As a person who loves science, she realized how scarce the female population is in STEM-related careers that are leading our world. Yet, she strongly believes that ​​​​​​​​​​​​​​​​everyone has the potential to make a change, no matter differences in gender, age, race, or anything. Michelle is driven to apply her leadership skills to help lower the barriers girls face in underdeveloped countries, and empower girls to take on their dreams with no hesitance or fear. In her free time, Michelle enjoys teaching young girls how to code, playing Debussy on the piano, and creative writing.